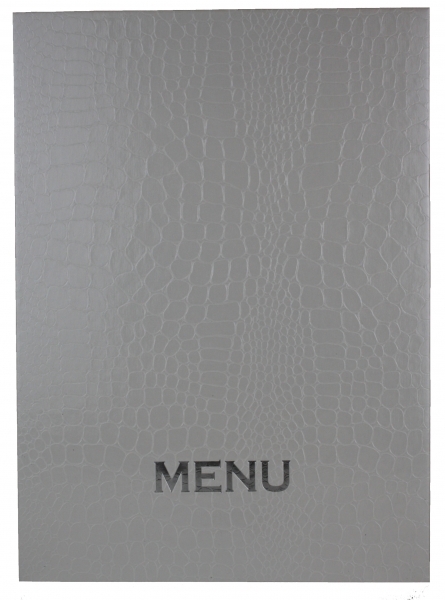 Pellaq menu boards have a choice of 4 textured finishes available including lizard and croco. This finish gives an exotic luxurious feel, and with 20 colours to choose from there is plenty of colour choice. 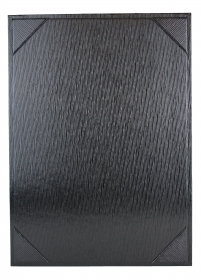 The pellaq material comes with a scratch resistant coating to maximise the durability of the boards. 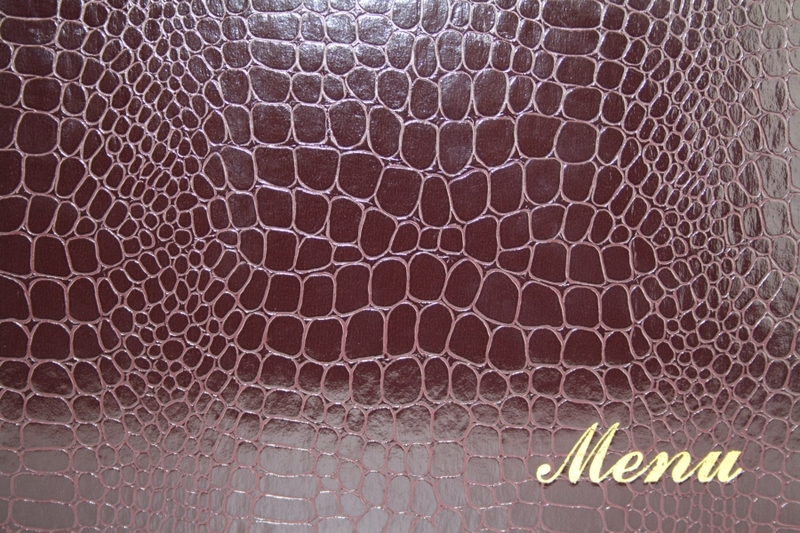 This material is also water resistant so easily cleaned with a damp cloth. 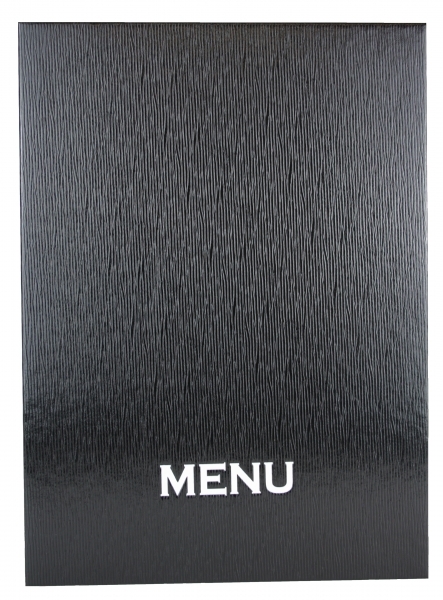 The menu boards are able to have either parallel bars or corner retainer fixings to hold the menu in and also can have clear acetate to protect the menu from dirt and wear. 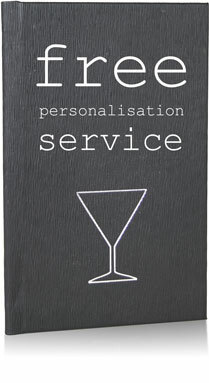 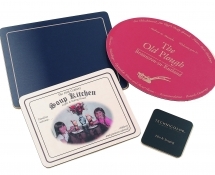 These boards are able to be fully personalised with your company logo in a variety of colour prints.